The Power Flex yoga pant from 90 Degree by Reflex is the ideal combination of fashion, function, and performance. Our fabric is designed to contour perfectly to your body, giving you a streamlined look. We've created the perfect fabric at the perfect price. The Power Flex pant is created from a blend of Nylon and Spandex and is designed to remove moisture from your body, providing maximum comfort. A wide waistband contours your curves and streamlines your natural shape. Designed to stay put when you stretch and bend, these capris won't ride up, fall down, or dig in. Women everywhere are discovering and enjoying our high performance perfection. Interlock seams reduce irritation and edges lay flat to eliminate chafing. With a Key Keeper pocket to stash your belongings and a gusseted crotch for peace-of-mind movement, we bet you'll favor these pants in lieu of your used-to-be favorite leggings. These Power Flex Pants are perfect for yoga, pilates, running, or any type of exercise or fitness-related activities. You can also go from the gym to running errands - all while being comfortable and stylish. Pairs well with our famous Power Flex Tank. Don't forget to check out our Power Flex Yoga Shorts & Power Flex Capris - they're made from the same great fabric and are great for warmer weather or all-year use. Activewear and loungewear are what we do best. We've sold hundreds of thousands of pairs of Power Flex Pants worldwide - join women everywhere who've already discovered the amazing look and feel of our Power Flex Pants. With multiple colors available, you'll find the perfect match for every occasion. Choose between solid, heather, and space dye variations. You decide what's best for you. You're covered by our 100% full money-back guarantee. If you don't love our Power Flex Pants, simply return them without question within 30 days. Select your favorite color and ""Add to Cart"" now. SOLID: 87% Nylon 13% Spandex, HEATHER: 47% Nylon 46% Polyester 7% Spandex, SPACE DYE: 90% Polyester 10% Spandex Perfect for yoga, exercise, fitness, any type of workout, or everyday use. 90 Degree by Reflex Yoga Leggings combine fashion, function and performance. 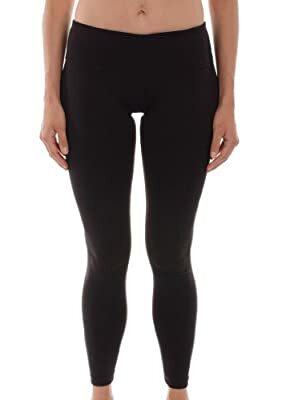 These Power Flex Pants for women are made from the highest quality fabrics designed to remove moisture from your body, providing maximum comfort. Hundreds of thousands of customers can't be wrong. We sell these Yoga Leggings in department stores worldwide. Stretch, bend, do anything you want. Our fabric is designed to contour perfectly to your body, giving you a streamlined look. You won't find better yoga pants or leggings. Period. If you are unsatisfied for whatever reason, we will give you a full 100% money back guarantee.